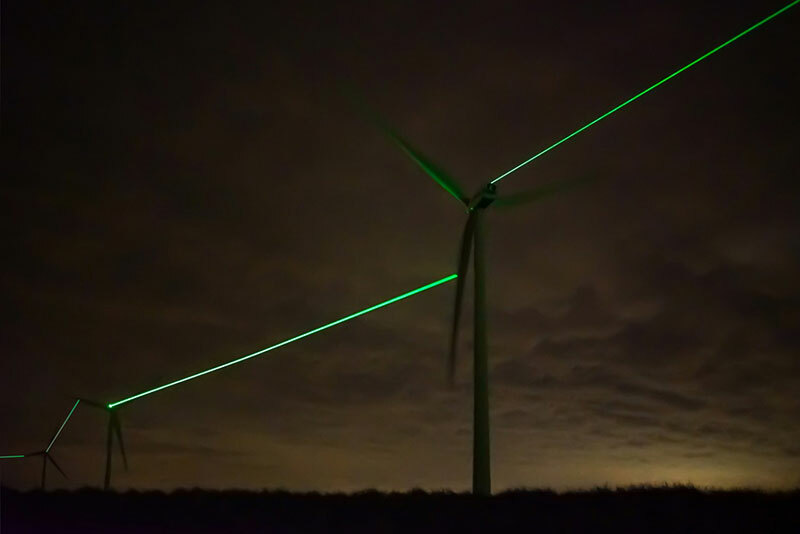 Windlicht is the latest work of Studio Roosegaarde that shows the beauty of green energy by connecting windmill blades with lines of light. 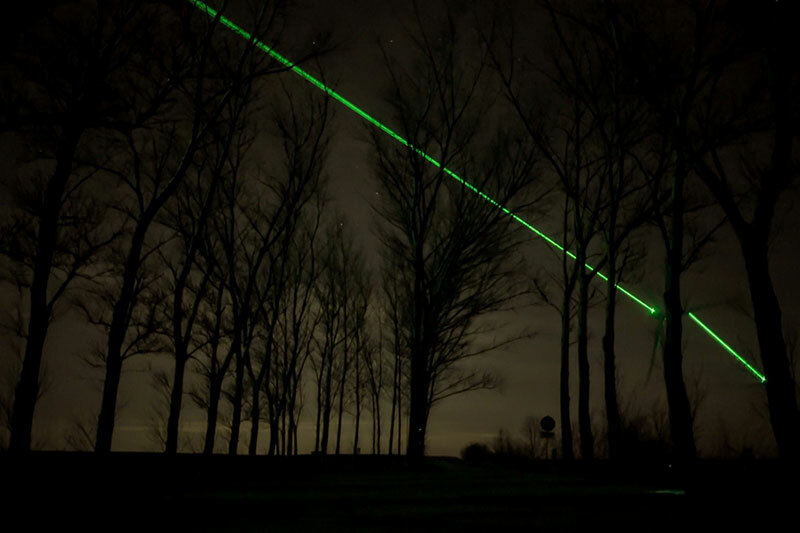 The experimental installation uses special software and tracking technology that detects the rotating blades at 280 kilometers per hour. 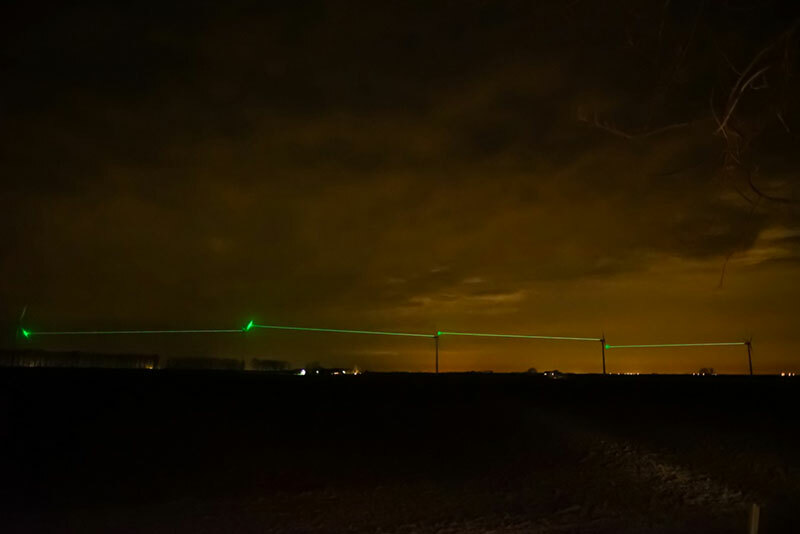 Roosegaarde was inspired by the dutch village of Kinderdijk with its 18th century windmills as an example of Dutch innovation. The artwork was developed together with his team of designers and engineers which "creates the missing link between the Dutch and the beauty of our new landscape." 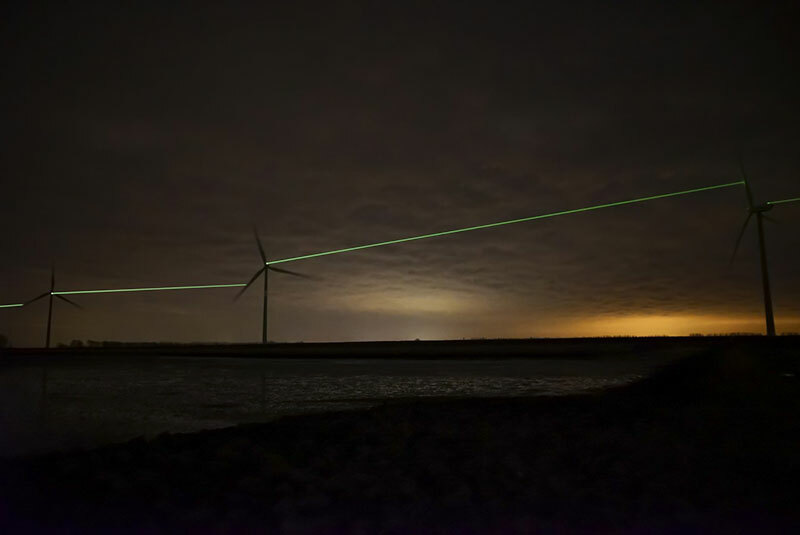 The installation can be seen at the Eneco wind farm at St. Annaland in Zeeland, NL. 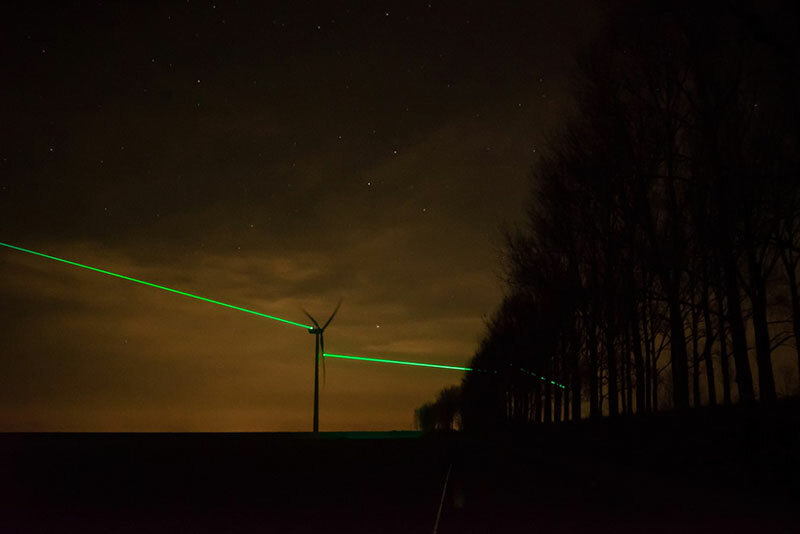 Windlicht is the latest work of Studio Roosegaarde that shows the beauty of green energy by connecting windmill blades with lines of light.